The Britney Spears money train just keeps rolling along … TMZ has learned. Britney’s conservatorship filed legal docs breaking down what she earned and what she spent in 2015, and it’s a lot on both scores. Britney made $13,395,410.53 during the 12 month period, mostly from her Vegas show. Britney made millions more for the shows, but a big chunk went for various expenses and taxes. At the end of 2015, the docs show Britney had cash and property worth $51,141,000 … around 5 million more than she had at the beginning of the year. Now, how did she spend more than $8 mil? 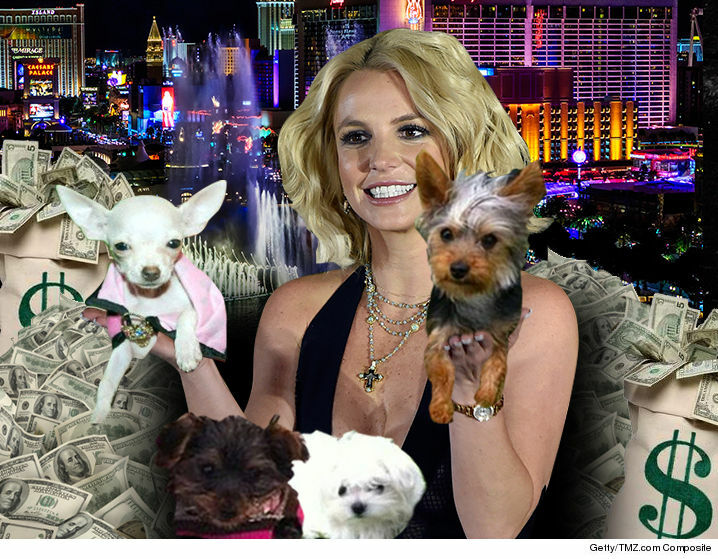 Beyond the obvious houses, cars and kids … according to the docs, Britney also dropped $37,360 on pet care, $67,800 on massages, grooming and nails, $62,813 on wardrobe but only $537 on dry cleaning! BTW … the documents only reveal a portion of Britney’s wealth. There are millions more in various trusts. Prince — Woman Warns Estate … Step Aside, I'm His Wife!